A long journey for Romania, but on the opening day of play, Wednesday 14th June, in the Women’s Singles qualification tournament that precedes the Seamaster 2017 ITTF World Tour Platinum Lion Japan Open, the travel to Tokyo proved most worthwhile. Bernadette Szocs, Adina Diaconu and Andreea Dragoman all emerged successful in their initial matches. Pride of place went to 16 year old Andreea Dragoman; she was the one member of the trio to upset the order of merit. Currently listed at no.166 on the Women’s World Rankings, she accounted for Korea’s Song Maeum, named at no.86, in a hard fought six games encounter (12-10, 11-9, 6-11, 11-5, 10-12, 15-13). Success against the odds for Andreea Dragoman, for Bernadette Szocs and Adina Diaconu, it was success as status advised. Bernadette Szocs beat Russia’s Mariia Vinogradova (11-7, 11-6, 12-10, 11-7), Adina Diaconu overcame Chinese Taipei’s Li Yun-Jhun (11-6, 11-2, 11-3, 6-11, 11-5). Presently Bernadette Szocs is named at no.55 on the Women’s World Rankings, Adina Diaconu is at no.74; neither Mariia Vinogradova nor Li Yun-Jhun possesses a World ranking. Opening round success for three notable Europeans who could well form the national team in years to come; it was the very same from three Chinese young ladies, seeking to challenge the likes of Ding Ning, Liu Shiwen and Zhu Yuling for a place in the first team. Chen Ke and Yuan Xuejiao both beat Hong Kong adversaries. Chen Ke accounted for Ng Wing Nam (9-11, 11-6, 11-6, 11-4, 11-4), Yuan Xuejiao ended the hopes of Mak Tze Wing (11-7, 11-8, 11-5, 11-4); meanwhile, Sung Yingsha; accounted for Chinese Taipei’s Huang Yu-Wen (11-3, 11-4, 11-7, 11-4). Impressive performances and very much names to note; none of the Chinese trio possesses a current world ranking. Ng Wing Nam is at no.56, Mak Tze Wing at no.103, Huang Yu-Wen at no.161. Upsets, maybe according to statistics but not in reality; however, there was one result that in addition to the efforts of Adina Diaconu, did raise the eyebrows. Chinese Taipei’s Lin Chia-Chin, ranked no.151, beat Austria’s Amelie Solja, named at no.109; the 26 year old emerged successful in five games (11-2, 6-11, 11-5, 11-8, 11-9). 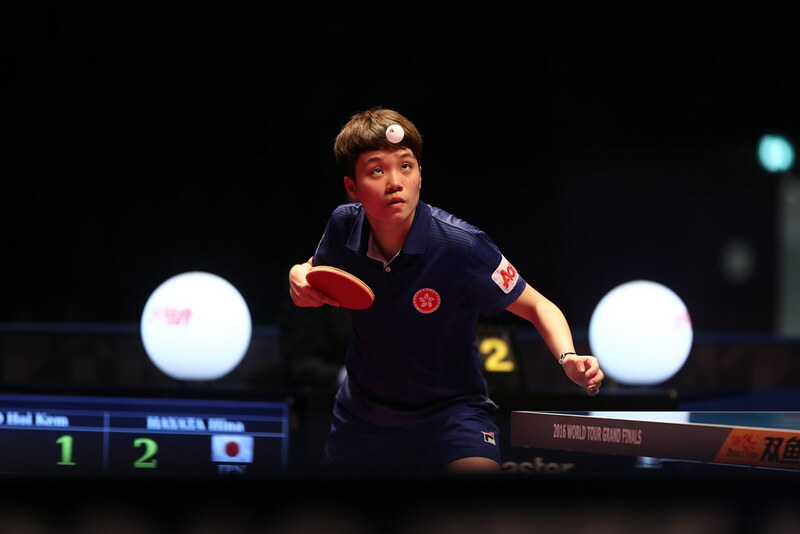 A surprise but for the one player required to compete in the opening round who is the proud owner of an ITTF World Tour Women’s Singles title, it was success. Portugal’s Shao Jieni who emerged victorious in Lagos in 2015 and 2016, overcame Korea’s Park Joohyun (6-11, 11-3, 11-6, 11-8, 12-10). Play in the qualification stage of the Women’s Singles event concludes on Thursday 15th June.